As you know, I love doing in-depth articles; but I also want to cover some news in the rock and metal world. There’s never a shortage of updates. Here are some highlights from this month from some of my favorite bands. Brian May, the legendary guitar player of Queen, announced some updates on Bohemian Rhapsody, the title of the film the band’s been planning for almost 7 years. After some issues with casting, Rami Malek, who is well known from Mr. Robot, was announced as the lead character; the one and only Freddie Mercury. But recently, we’ve also got news that the band has casted the actors to play the rest of the band too. And with recent photos from the set of the film, it looks like things are finally moving forward. I have mixed feelings about this film. I believe the timeline will start from the band’s phenomenal Live Aid show in 1985 and take it from there. Of course, expect a lot of focus on Freddie Mercury as the film is supposed to be about him. On a radio show in LA, Brian May recently confirmed that Paul Prenter, Freddie’s personal assistant in the late ‘70s and early ‘80s who also backstabbed Freddie by selling his secrets to tabloid newspapers, was going to be featured in the film. That clearly tells us that the film won’t shy away from showing some parts of Freddie’s personal life. As a huge Queen fan, part of me feels good that this is being funded by Brian May and Roger Taylor for the most part and they wouldn’t betray their friend’s legacy. I know they would do everything they can so more people can see how Freddie so courageously fought against AIDS and how he still kept on making music despite the circumstances. Having said that, another part of me worries about the extent to which we would focus on Freddie’s private moments. 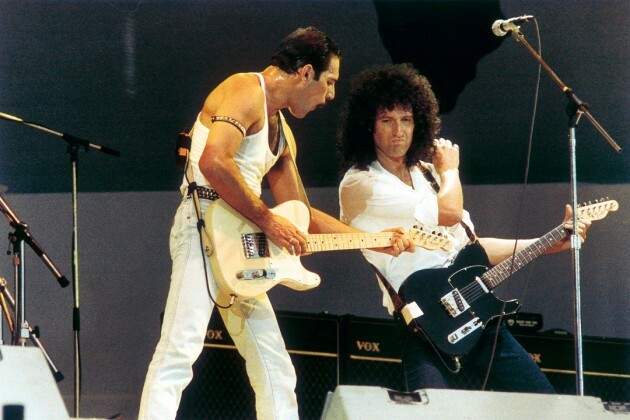 After all, even Sacha Baron Cohen left the project due to “creative differences” as he wanted more of Freddie’s “wild” life (Brian May rightfully called him an “arse” later and I think that’s putting it mildly!). Freddie was a very private man. And the paparazzi, along with some of his former “friends” who later betrayed him, never left him alone and didn’t even let him spend his final months in peace. So, is it really okay to now air some of those private moments in movie theaters across the world? Time will tell… I, for one, still want to see it. Brian May and Roger Taylor are two of my musical heroes and they love Freddie more than we ever could. They at least deserve the benefit of the doubt. 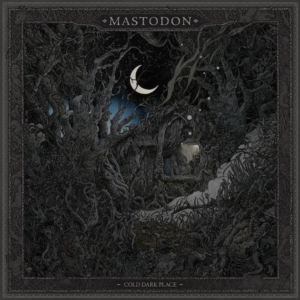 In other news, Mastodon, whose latest album “Emperor of Sand” has been getting incredibly positive reviews including right here at Mega-Depth, just announced they were going to release a new EP on September 22nd. 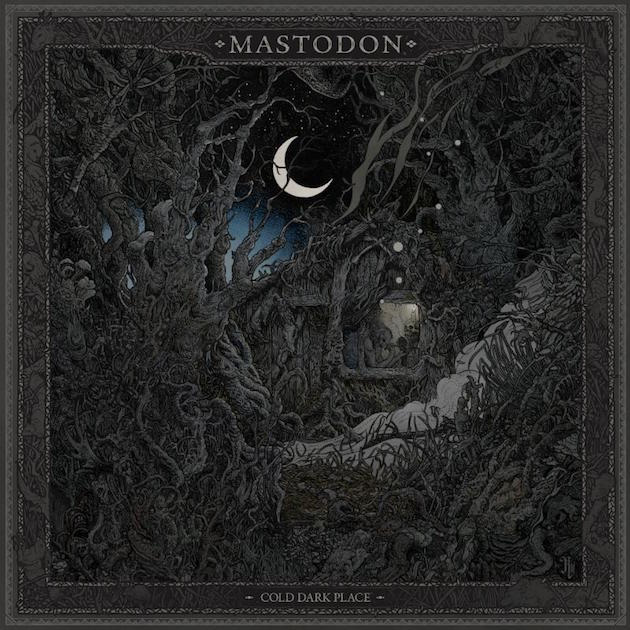 It’s called Cold Dark Place and features a pretty awesome cover. I dig the super dark vibe. The band confirmed the EP will include 4 previously unreleased tracks; 3 from the Once More ‘Round the Sun sessions and one song from the Emperor of Sand era. So, we’ll get a good variety as the two albums had completely different sounds, as well as different producers. I’ve also read recently that Metallica is gearing up to release a remastered edition of their seminal 1986 album Master of Puppets. In order to make this reissue more attractive to long-time fans, the band is planning a boxset that includes lots of demos, live recordings, a photo album and a lot more. You can find a video of James Hetfield going through the contents of the box set below. The boxset is really cool, but remasters are a touchy subject because not every band does it justice. Sometimes, it’s a lot better to leave an album alone. Albums are supposed to reflect the time in which they were recorded – it gives them an identity. Having said that, I can also think of some remasters that were very loyal to their originals but still improved the overall sound so much that you just had to thank the band for going through the effort. Iron Maiden’s remasters of their ‘80s albums and Megadeth’s remastered Killing Is My Business… come to my mind right away as great examples. So, we’ll see. I’m getting this boxset one way or the other… I don’t always trust the ‘tallica boys to master properly (I’m looking at you, Death Magnetic!) but the boxset alone is worth the purchase.